I've arrived at my first stop, Tampa Florida to pursue an exciting cancer research career ahead of me. Many have asked before I left Canada if that means I am putting my passion for fashion behind. After all, Florida isn't exactly the place I want to be to work in fashion. But HEY, if I could make it in Canada, I can probably make it anywhere. My appraoch? Is to first discover like like-minded and unique aesthetic individuals around the area. 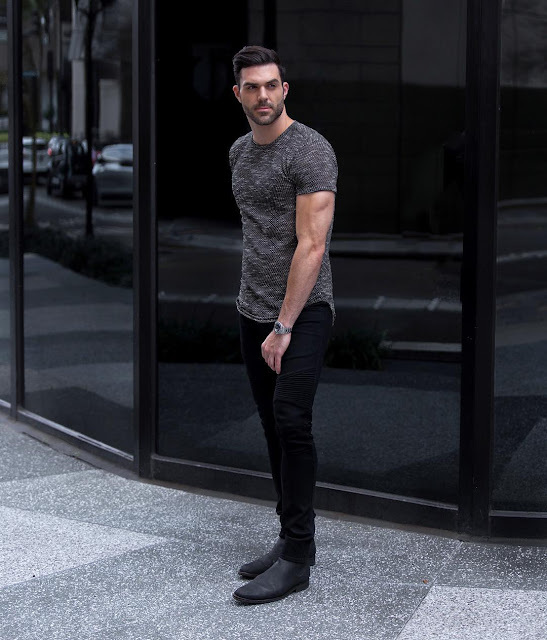 Through doing some research on different blogs and social media, I found Nicholas Trobiano, a city & style blogger based out of Tampa Bay. As a "GQ Insider", he's definitely the guy to go to here if you want to discuss about gentlemen's fashion and luxury lifestyle. I've had the opportunity to interview him; My very first interview segment in this new adventure in Florida. I am a city and style blogger in Tampa, Florida. I grew up in South Florida before moving to Tampa in 2008 to study marketing and journalism at The University of South Florida. I first started my blog, nicholastrobiano.com, as a creative outlet of my job in marketing. I needed a space where I could create and tell stories that reflected my vision rather than someone else’s. At the time, very few bloggers wrote about life in Tampa Bay, so I saw it as an opportunity to uncover the interesting, architectural, and sartorial places around me. So far, it has worked. My style is simple and monochromatic. Most people who know me think I only wear all-black. But in truth, I think all black makes me more creative. Sure, it is easy to match the color, but to combine unique cuts or interesting fabrics and hardware is much more interesting. That is where I get creative. Do you have a particular favorite brand(s) or designer(s) and why? Tom Ford is my biggest inspiration and is incomparable, in my opinion. But other designers including Kris Van Assche, Olivier Rousteing, Alexander McQueen and Christian Dior. 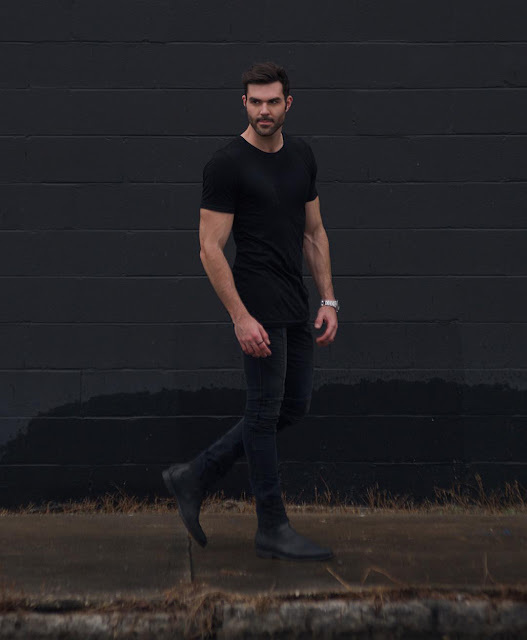 What is the fashion scene like in Tampa? Tampa style is hard to pin down. It’s a mix of Urban Outfitters, lululemon, and J Crew. There is an overwhelming preppy-vibe that is heavily influenced by leisure and athleticwear. In my opinion, Tampa men have some work to do. As convenient as gym shorts may be may be, wicking fabrics shouldn’t dominate anyone’s closet. Do you find it difficult to exhibit personal fashion in sunny places such as Tampa all year round? I certainly yearn for options since being outdoors in anything other than a swimsuit and tank top is typically a chore, but fortunately, I rarely leave the air conditioning. So I am able to wear my self-imposed “uniform” of a all-black shirts, denim, and boots all year. If we were to travel to Tampa, what would is the first thing you recommend (shopping or food)? Coffee. It is a bit of an unknown secret, but Tampa has a vast coffee scene that continues to grow. My suggestions would be Buddy Brew Coffee in Tampa or Bandit Coffee Co. in St. Petersburg. Both serve great brews and have exceptionally friendly staffs. Plus, their music selections are always spot-on. Between New York, London, Milan and Paris, which fashion week(s) do you like the most? I love the city of New York, but I would have to say London Fashion Week Men’s is my favorite of them all. I am most excited to see what happens in London, not necessarily for the ready-to-wear pieces because quite frankly I am not sure how much of them I would wear personally. But unlike the other cities that venerate suits, top coats and traditional menswear garments, London champions the non-conformists who push the limits of menswear. Just look at what Bobby Abley has done over the past few seasons. Can you imagine him showing his collection alongside Hermès or Saint Laurent? I cannot. Do you have upcoming projects you like to share with my readers? I am working closely with some exciting partners to bring you my favorite products of the holiday season. Be sure to follow me on Facebook, NICHOLAS TROBIANO, and Instagram, @nicholastrobiano, for photos, stories, and maybe a couple other surprises.